Monrovia – The United Nations Human Rights Committee (HRC) has reiterated its call on the Liberian Government to abolish the death penalty which the government reintroduced in 2008. Addressing a one-day national human rights consultation held in Monrovia on Wednesday, November 7, a member of the HRC, Margo Waterval said it was unfortunate for Liberia, as a State party to the Second Optional Protocol to the International Covenant on Civil and Political Rights, to reintroduce the death penalty in its Penal Code. The Second Optional Protocol to the International Covenant on Civil and Political Rights which aims at the abolition of the death penalty is a side agreement to the International Covenant on Civil and Political Rights (ICCPR). Ms. Margo noted that although no execution has taken place since 2008, the judiciary continues to sentence people to death. Her statement is in line with a set of recommendations that the HRC submitted to the Government of Liberia at the Covenant on Civil and Political Rights (CCPR) meeting which took place in Geneva in July 2018. The 48-count recommendations, among other things centered on the abolition of the death penalty, impunity and past human rights violations and the administration of justice and fair trial. The committee recalled that adherence to the Second Optional Protocol requires that Liberia, as a state party takes all necessary measures to abolish the death penalty within its jurisdiction and become an abolitionist country in practices as well as in law. In addition, it petitioned the government to remove any provisions in its legislation that provide for the death penalty and to commute all existing death sentences as well as refrain from carrying out any execution. 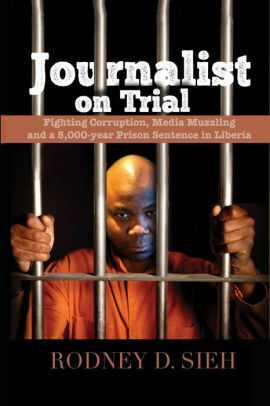 On impunity and past human rights violation, the Committee called on Liberia to establish a process of accountability for past gross human rights violations and war crimes that conform to international standards, including concerning independence and expertise of the judiciary, victims’ access to justice, due process and fair trial guarantees, and witness protection. For administration of justice and fair trial, the committee recommends that Liberia should pursue it effort to reform the justice system and ensure that all court proceedings are conducted in full observance of due process guarantees set forth in article 14 of the covenant. Meanwhile, during the consultation, the civil society organizations resolved to engage government stakeholders to ensure the implementation of the HCR recommendations. Some of the recommendations highlighted during the consultation included the promotion of gender equality, criminalizing all forms of harmful practices including female genital mutilation (FGM), guarantee the voluntary termination of pregnancy, implementing the act banning trafficking in person, improve prison condition, freedom of expression and now implementing Land Rights act which aims notably to regulate the status of customary land. 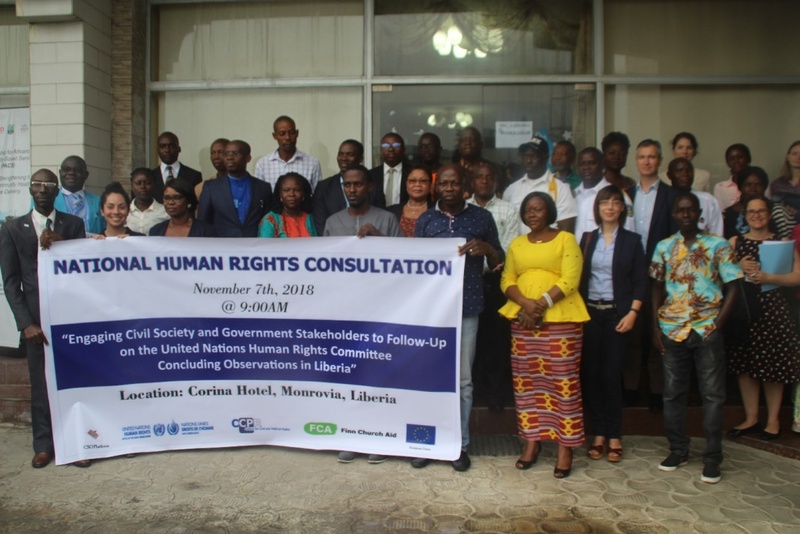 The dialogue was also by attended by representatives from the government’s institutions including the Ministry of Justice and Independent National Commission on Human Rights (INCHR) and international partners including the European Union Delegation to Liberia. The Director of Human Rights Protection Division at the Ministry of Justice, Kutaka Devine Togbah, pledged the government’s commitments towards working with its partners including the civil society and international organizations towards implementing the HCR’s recommendations.